I have never found any money in a record that I bought second hand, but I have heard of several people who did. Harrie Berkhout is one of them. 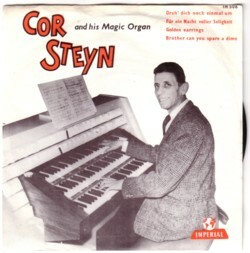 He once saw an LP by the Dutch organist Cor Steyn on a flea market. The records of Cor Steyn are not collectible and Harrie had no interest in them, but after decades of going through records he was surprised to see a Cor Steyn LP that he had never seen before. Out of curiosity he picked up the LP and noticed there was an envelop in the sleeve. Once glance was enough to see that there was a lot of money in the envelop. I cannot remember how much money was in the envelop, but more than I earn in a month. Every time I see a Cor Steyn record I am reminded of this story, and believe me: there are a hell of a lot Cor Steyn records in Holland! He made records on every organ that can be found in Holland. He also recorded on the so called “magic organs”, the first electronic instruments that became popular. 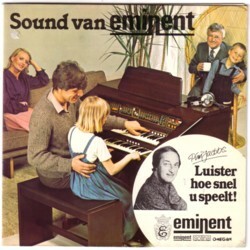 I collect advertisement records for such electronic organs, and there are many of these records! Enough to start a CD label. Of course you don’t won’t to hear all of these, but I am sorry, I will share my whole collection with you in this Soundtrack. 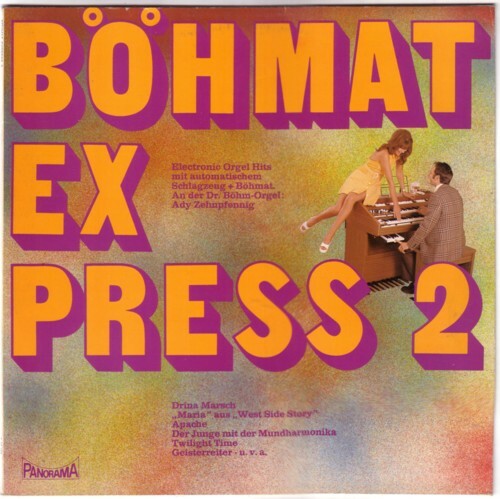 For a start I picked the demonstration LP that Dr. Bohm made for their Bohmat organs. The organ player is Ady Zehnpfennig, and he plays covers of pop songs like Apache, El Cumbanchero, Twilight Time and ten others. As can be expected, Ady was asked to demonstrate what can be done with a Bohmat organ, and he did a great job. 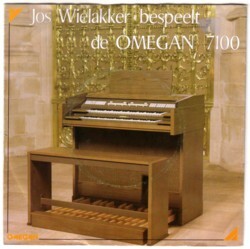 I think that many people who bought a Bohmat organ after listening to this LP will have wondered how on earth did he made all the noises. Here is Wooly Bully . So I’ve just been to town and guess what, I was looking at some records and everytime a Cor Steyn album popped up I had to look inside. There were a lot of them as well, it really spoiled my morning. Thanks for the story Harrie & Frits!! I have 3 CD’s from him !